For 2018, the inductees are: Eric Wohlberg, Linda Jackson and Nora Young. They will be formally recognized at the annual Canadian Cycling Hall of Fame celebrations to be held on Sunday, September 30th, at Glencairn Golf Club in Milton, Ontario, in conjunction with the Canadian Track Championships. The Track Championships take place at the Mattamy National Cycling Centre, which is the permanent home of the Hall. Linda Jackson entered cycling at a much later age than usual. At 32 years of age, after watching the 1992 Olympics, she decided she wanted to go to the Olympics, and left her career as an investment banker in California to devote herself to cycling. By 1994, she was on the national road team, and won a silver medal in the road race at the Commonwealth Games in Victoria, BC. She also won a silver medal at the 1998 Commonwealth Games in the time trial. 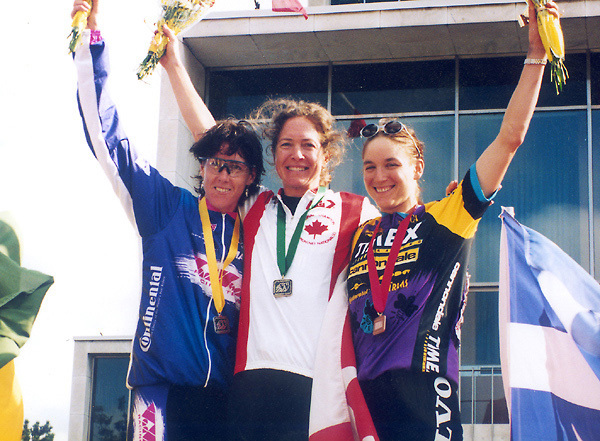 Linda accomplished her goal of going to the Olympics at the 1996 Atlanta Games, finishing ninth in the time trial, although she crashed and did not finish the road race. In the 1996 season Jackson also won a bronze medal in the road race at the world championships. In 1997, she won the Tour de l'Aude Cycliste Féminin and finished second at the Women's Challenge and Giro d'Italia Femminile, as well as placing third at the Tour de France Feminin. 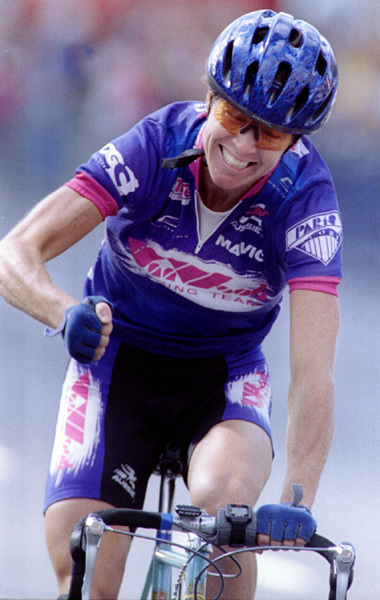 In 1998, Jackson won the Women's Challenge and was second at the Giro d'Italia Femminile. She retired in 2000 and returned to business, however, in 2004 she founded the women's road racing team Tibco-Silicon Valley Bank which is now the longest running professional women's cycling team in North America. She was also a founding Director of the CCA - Hamilton 2003 Road Cycling Foundation, which has supported numerous road riders through the years. "I am tremendously honored to be inducted into the Canadian Hall of Fame," said Linda Jackson. "I found my cycling passion late in life, and I knew when I was racing that I wouldn't have the long career that most international level athletes are able to enjoy. Knowing this made each day important to me, and I treasured every moment. The incredible opportunities I had through this sport, made possible largely by Cycling Canada, instilled within me a deep-rooted passion for the sport that has stayed with me to this day. My founding and ongoing support of Team TIBCO - Silicon Valley Bank reflect that passion; I have dedicated the last 14 years building this team to ensure that talented female cyclists are able to pursue their cycling passion the way that I was able to pursue mine. Thank you so much for the recognition; this means the world to me." 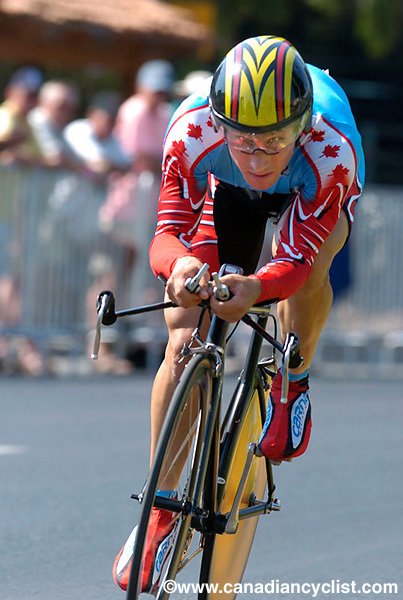 Eric Wohlberg is one of the greatest men's time trialists in Canadian cycling history, winning eight elite men's time trial titles (1996-2003), a record only surpassed by Svein Tuft. 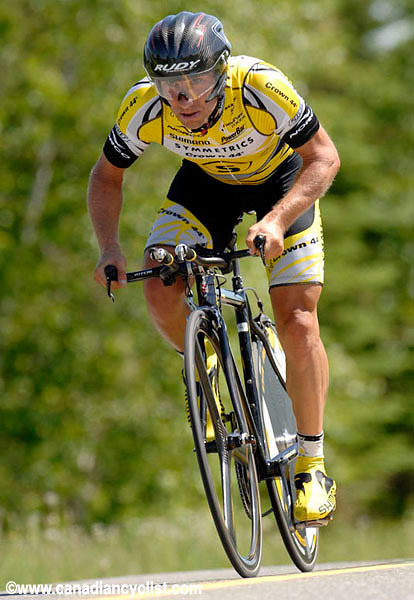 Perhaps even more impressively, he finished on the podium in the Nationals time trial for 13 consecutive years. 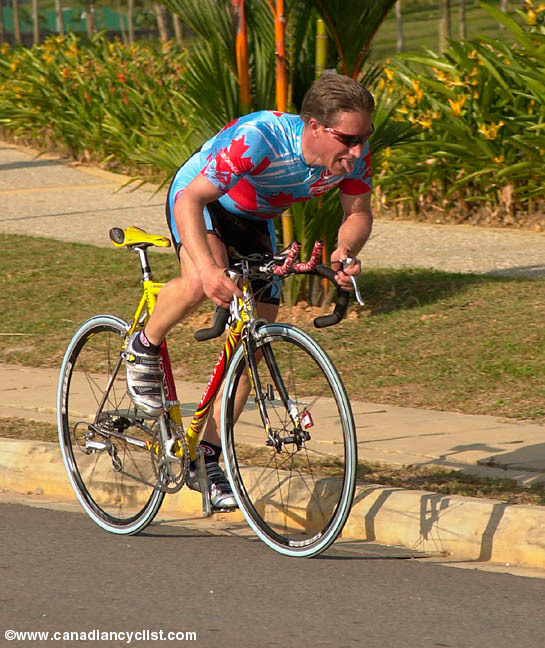 He competed for Canada at three Olympic Games - 1996, 2000 and 2004 - and won gold (time trial) and bronze (road race) medals at the 1998 Commonwealth Games, as well as gold at the 1999 Pan Am Games in the time trial in Winnipeg. Eric also raced for Canada at eight world championships - 1996, 1997, 1999, 2001, 2002, 2003, 2004, 2005. Eric retired as a professional in 2008, having raced for some of the top pro teams in North America, including Saturn and Symmetrics Pro Cycling, and has since been a Director Sportif at Rally Cycling, helping develop the next generations of Canadian cyclists. "I am very honored and flattered to be deemed worthy of a Hall of Fame inclusion," said Eric Wohlberg. "I always dreamed of becoming a full time athlete. Cycling and a amazing level or support and encouragement from my family, friends, sponsors and Cycling Canada helped turn my dream into reality. I hope that I can help other Canadian Cyclists achieve their goals and will continue to do all I can to promote and make the sport better." Nora Young (1917 - 2016) enters the Hall as an Early Era athlete, although her actually cycling career spanned some 70 years. Young was a woman bike racer in the 1930s and 1940s, long before there was any recognized women's racing. She is one of Canada's most important early female cycling pioneers, distinguishing herself in the top-level cycling races open to women in that era. A national champion in basketball, javelin and cycling, she was also a softball player, an early hockey player and one of the first women to race a bike competitively in Canada. As a young cyclist, she distinguished herself in several famous races where she was one of few women competing, including at a 1936 Six Day race at Maple Leaf Gardens in Toronto, when she took part in a demonstration race for women. Nora raced in dirt track races at the Canadian National Exhibition, setting a national record for the 1/4 mile, and in 1937 entered the 50-mile Canadian road race put on by the Danforth Bicycle Club; Young was the only female competitor in the race, and finished in an impressive 2 hours and 38 minutes, ahead of many of the male riders. After 'retiring' for some years in the 1950s and 1960s. Nora took up cycling again in the 1970s, and began competing at the Masters Games, winning multiple titles, and racing well into her 80s. Nora was still riding her bike until 2011, at the age of 92. She was acknowledged for her work on the Ontario Cycling Association's Cycling Women’s Committee in 1980 with the Contribution to Women’s Cycling Award. The Canadian Cycling Hall of Fame celebrations will kick-off in the morning with the third annual Lexus Ride with Legends, where guests will have the opportunity to enjoy a VIP, fully-supported road ride in the Halton Hills alongside many of Canada's Hall of Fame inductees as well as current National Team athletes. The ride will be followed by the induction luncheon, where the 2018 class will be honoured and celebrated.